Who doesn't know about Madame Tussaud's Museum? And it's not uncommon to have a new celebrity wax statue added. 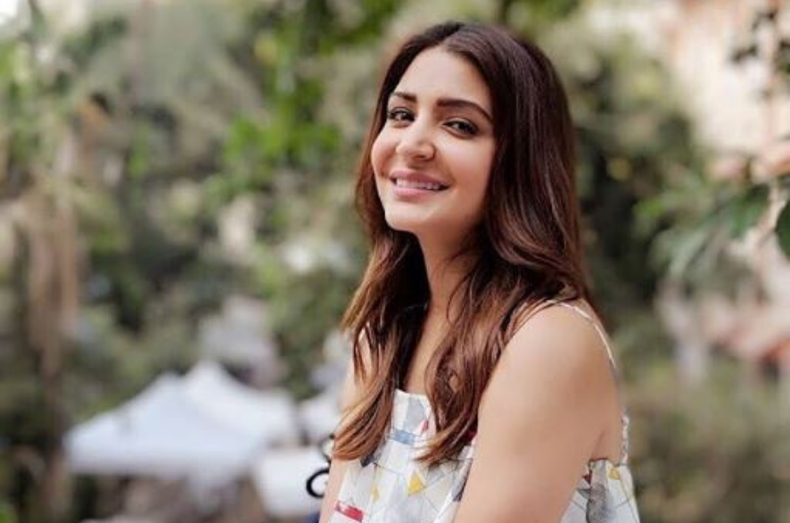 But what really makes a new addition like Anushka Sharma worth reading is her journey from having born is a small town like Ayodhya (politics is so adamant there that development is a dream come true) to get a statue in Madame Tussaud's Singapore Museum. Not only that Anushka is next on the list, but with something unique this time, she would be the first Indian to have a Talking Wax Statue. Whenever I hear a first time in India for a small town girl, I get goosebumps. Who else has a Talking Wax Statue? Her Statue would join the list of distinguished global icons such as Oprah Winfrey, Cristiano Ronaldo and Lewis Hamilton who also have their interactive sets at the Singapore museum of Madame Tussauds. But Anushka Sharma Wax Statue would be the first one among the other’s at the Singapore Museum to have this - “Talking Feature”. So being is Madame Tussaud's is common but having a Talking Feature is rare. That's where the story becomes a Sheroes' Story. Isn't it an achievement for a small town girl? It is! Born in Ayodhya, UP; she was raised in Bangalore. She completed her education at the Army School there and received a degree in arts from Mount Carmel College. Anushka originally intended to pursue a career in modeling or journalism and had no plans to be an actress. After graduation, she moved to Mumbai to further her modeling career. Where she began her modeling at the Lakme Fashion Week as a model for Wendell Rodricks' Les Vamps Show and was picked to be Rodricks' finale model at the Spring Summer 2007 Collection. Since then she has done campaigns for the brands Silk & Shine, Whisper, Nathella Jewelry and Fiat Palio. During her early career, and because she was an outsider, she was rejected several times for various Ad commercials. But this girl was persistent and focused on her goal so she continued to put all her best. Anushka Sharma once said in an interview, "I think I was born to emote and act. I would walk down the ramp and smile and they used to say, ‘give us a blank look.’ It was really difficult, not to smile". Her acting debut was in Aditya Chopra's Rab Ne Bana Di Jodi (2008), opposite Shah Rukh Khan. She took a day to prepare for her screen test at the Yash Raj Films studio and refused to do an impromptu one. Eventually, she got the leading role of Tani Sahni, a young bride to a middle-aged man, portrayed by the SRK. Since then she has won a series awards from IIFA, Star Dust Awards, Star Guild Awards, Filmfare Awards, Zee Cine Awards and many more for her heart winning acting in around 19 of her movies. Aishwarya Rai was the first Bollywood Actress to get her statue at the Madame Tussauds London Wax Museum in 2004. Kareena Kapoor’s Wax Statue was unveiled in 2011, representing a replica of her’ from the song Mauja Hi Mauja from her movie Jab We Met with Shahid Kapoor. Kat or Katrina Kaif as we know her, has a total of 3 Wax Statues in - London, Delhi, and New York. She got her first Wax statue at Madame Tussauds in 2015. Madhuri Dixit the Bubbly Dancing Queen of Bollywood got her first Statue at Madame Tussauds London in 2012. She also has her statue at Madame Tussaud's New Delhi. Both of them being in beautiful Sarees. Madhubala got her Madame Tussauds Statue inspired from her role as Anarkali in Mughal-E-Azam just last year in 2017 in Delhi. This year in May, Kajol unveiled her Statue at Madame Tussauds Singapore. She went there with her daughter Nysa. Ajay Devgan, even made a funny tweet about it, by calling it the “Silent Kajol”.